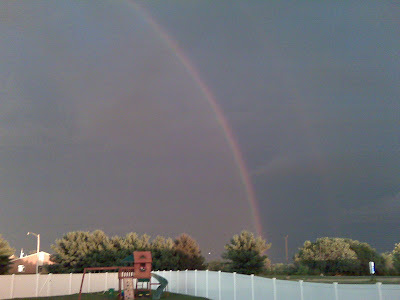 ... That a rainbow practically ENDs at my house? I think not... I don't know about anyone else, but my two girls are pretty much as close to a pot of gold as I could ever want. here, here!!! agree 110% with you there... good luck this week... I'll be thinking of you as you are on your way back to work...!